A sensational revelation in today’s Mail on Sunday has strengthened calls The Madeleine Foundation has been making for the Home Office to authorise a full public enquiry into the Madeleine’s disappearance. The Mail article quotes Johan Selle, Director of Operations at iJet, the United States firm that managed the McCanns’ ‘Find Madeleine’ ’phone line for a year in 2008-9. He said: “Nobody asked my company if they could listen to any of the calls received. My operators in Virginia, U.S., answered hundreds of calls…we delivered a summary of the calls to Kevin Halligen at Oakley International and said if they wanted to come back they could listen to the recording. Nobody did”. The news that the McCanns did not follow up hundreds of calls to their investigation hot-line comes on the same day as the Legal Services Commission announced that it would pay tens of thousands of pounds in Legal Aid to con-man Kevin Halligen, the man the McCanns appointed at a cost of £500,000 to head up their private investigation into Madeleine’s disappearance. The Mail article says: “Kevin Halligen, 50, told Kate and Gerry McCann he could find their daughter, but allegedly spent the cash on a lifestyle of first-class flights, chauffeured cars, nightclubs and luxury hotels and goods”. “This underlines once again our call for a full public enquiry, with the power to summon witnesses, into all aspects of Madeleine’s disappearance. The public gave generously to the McCanns’ private trust to find Madeleine. The children who gave their weekly pocket money, the pensioners who donated their weekly pensions, and the tens of thousands who willingly sent cheques to the McCanns will be shocked at the revelations that their money was spent on the luxury lifestyle of a con-man and that hundreds of ’phone calls by the public to their ‘investigation hot-line’ were never answered. It is a national scandal. The sooner a public enquiry summons all witnesses who can give evidence about any aspects of Madeleine’s disappearance, the better. The McCanns’ spokesman, Clarence Mitchell, recently admitted that her disappearance was ‘a complete mystery’. 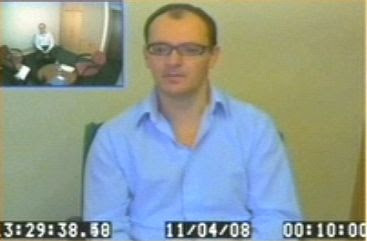 The Madeleine Foundation is supporting a petition by Alan-Marc Logoa calling for a full, independent public enquiry into all aspects of Madeleine’s disappearance, For a link, visit the home page of The Madeleine Foundation [ http://www.madeleinefoudnation.org.uk/] and click on the ‘Care Petition’ icon near the top of the home page. The Madeleine Foundation has also today written to the Chief Constable of Leicestershire Police and the Chair of Leicestershire Police Authority, repeating its call that the Constabulary should cease to link its website to the McCanns’ fund-raising website. Said Tony Bennett: “Today’s news discredits the McCanns’ private investigators. Leicestershire Police should remove its link to the McCanns’ website, pending a full investigation into Mr Selle’s statement. The Chief Constable of Leicestershire should have known better than to ever put this link up in the first place - it set a very dangerous precedent. The police should direct the public to themselves, not to the website of a couple who have been official suspects in the investigation”. On March 2010, Tony Bennett asked 12 straightforward questions of the Home Office about their recent handling of the Madeleine McCann case, which has now involved the McCanns in meeting two Home Secretaries. Nearly six months later, the Home Office has been unable to answer any of them and has not even made a decision on whether to answer them. A list of the questions asked can be found on the ‘Articles’ page of our website. 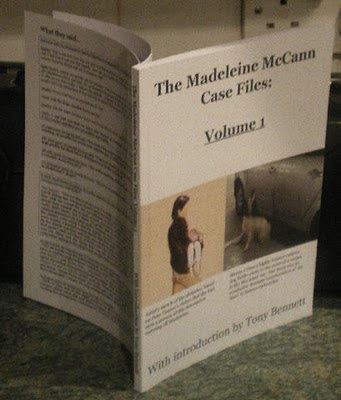 On 25 November 2009 Tony Bennett, to avoid possible High Court libel proceedings, gave undertakings agreeing not to sell or distribute copies of his book: ‘What Really Happened to Madeleine McCann? - 60 reasons which suggest she was not abducted’ and a Madeleine Foundation leaflet: ‘10 Key Reasons which suggest that Madeleine McCann was not abducted’. The name ‘Madeleine Foundation’ was chosen by the founders of the group because they felt that Madeleine’s name should be associated with learning valuable lessons about safe child care. A NEW probe by British cops into missing Madeleine McCann is being held up in a row over funding, we can reveal. Police forces face cuts of tens of millions of pounds to their budgets leaving no spare cash to pay for what would be a costly re-investigation. Home Secretary Theresa May held a meeting with Kate and Gerry McCann early this month to discuss the search for their daughter. Senior officers at Scotland Yard have been consulted about taking on the case. But despite the apparent early progress we can reveal that there are two key stumbling blocks. No police force can afford to take on the job which could take at least two detectives away from other duties for as long as a year. A source said: "The real issue that needs to be resolved is who is going to pay for it? No police force can afford to agree to take on the case without knowing where the funding will come from. "The other issue which is as important to resolve is to ensure that British officers will have full access in Portugal. "At the moment there is no agreement in place that the Portuguese authorities are going to allow and co-operate with a British re-investigation. "The review has highlighted the need for a thorough re-investigation starting from scratch. The Metropolitan Police have been consulted and are likely to be given the job, but not until all the problems have been ironed out." The McCanns, from Rothley, Leicestershire, appealed directly to former Home Secretary Alan Johnson and now Mrs May for extra help. Madeleine was three when she went missing from her family's holiday flat in Praia da Luz in May 2007. This year we broke the news that the Met's Homicide Command have been approached to discuss taking on the investigation. Jim Gamble, head of the Child Exploitation and Online Protection Centre, told Labour ministers there were huge holes in the original inquiry.The treasury are set to slash eight per cent of the policing budget for the next three years threatening jobs. That's because kate refused to answer 48 questions, none of the timelines made any sense and they all point blank refused to take part in a police reconstruction. Anyone familiar with statement analyis and genuine abductions will know that kate and gerry and chums are hiding something apart from neglect resulting in harm. What innocent parents hire lawyers immediately? What innocent parents refuse to fully co-operate with the police? All they have to do to get the case reopened at no cost to them or the UK police force is answer those 48 questions or take part in a police reconstruction. That will count as new evidence and the case will be reopened, though why they didn't ask for it to be kept open when they had the chance back in sept when it was archived is beyond me, But remember they never searched for her then and won't answer questions or do a reconstruction now.We have to ask ourselves why? Why should we search when they never did." Almost exactly a year after Mark Hollingsworth sensationally, in the Evening Standard, revealed that con-man Kevin Halligen had wasted half a million pounds on highly questionable activities in the Madeleine McCann investigation, Hollingsworth pops up again to inform us that the British taxpayer will now have to pay hefty barristers' fees on Legal Aid to try to get him out of having to face trial in the U.S. on an alleged $2 million (£1.3 million) fraud. Historical note: Kevin Halligen was personally chosen to head the McCanns' private investigation by Brian Kennedy. A private detective whose firm was paid up to £500,000 from publicly donated funds to find Madeleine McCann is to get tens of thousands of pounds in legal aid to fight extradition to the US for fraud charges. Kevin Halligen, 50, told Kate and Gerry McCann he could find their daughter but allegedly spent the cash on a lifestyle of first-class flights, chauffeured cars, nightclubs and luxury hotels and goods. In a separate alleged scam he was arrested last November at the £700-a-night Old Bank Hotel in Oxford. US authorities issued an extradition warrant accusing Halligen of defrauding a law firm of £1.3 million by ­claiming he could help free two men jailed in war-torn Africa. It is claimed he instead spent the money on a mansion. A document filed in the District Court of Columbia claims he took money, saying his firm could help secure the release of two executives from the multi­national company Trafigura jailed in Ivory Coast in 2007 for allegedly dumping toxic waste. He is said to have suggested a rescue operation to fly in South African mercenaries, but it was cancelled. The duo were freed a few months later after a reported £120 million payment. Halligen, who claimed to have worked for MI5 and the CIA, linked up with the McCanns a year after the 2007 disappearance of three-year-old Madeleine on a family holiday at Praia da Luz, Portugal. He boasted of ‘contacts’ in Washington who could provide satellite imagery to help the search. Oakley International, a company run by Halligen, was hired by the fund set up by Madeleine’s parents, but was dropped after six months due to claims of too little progress and too much spending. 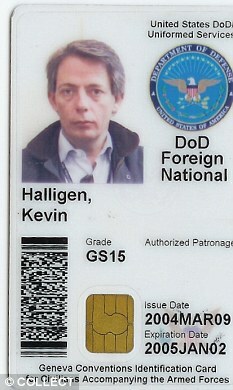 Now British taxpayers are to pay for top-flight lawyers to fight Dublin-born Halligen’s extradition. His team includes a leading extradition barrister whose fees are thought to be at least £2,000 a day. Additional fees for renowned London fraud solicitors Janes will boost costs even further. The award of legal aid to ­Halligen, remanded at a London jail since arrest, was confirmed by Westminster magistrates this month. His next extradition hearing is on Wednesday. Last night a spokesman for Kate and Gerry McCann would not comment on the case. Madeleine McCann: What are the main contradictions in statements of the McCanns & their friends about Madeleine's disappearance? For example, Dr Kate McCann said in an early witness statement that on the evening Madeleine disappeared, Dr Payne knocked on the door just as she came out of a shower at about 6.30pm, and she spoke to him for about 30 seconds whilst he was kept outside on the balcony. But in his own early witness statement, Dr Payne said he was there inside the apartment for up to half-an-hour, saw the children all ready for bed in white night attire, saw them being put to bed etc. Are there any other contradictions in their accounts? 1. Did David Payne actually visit Dr Kate McCann at all on the evening of 3 May? 2. Did he see Dr Kate McCann only in a towel? - or not? 3. Did he enter the apartment, or not? 4. If he was there, was he there for 30 seconds, or 30 minutes - or how long was he there? 5. Was the tennis game at 3.00pm pre-booked by the McCanns (Jane Tanner’s version) or not (your clients’ version)? 7. Did Dr Gerald McCann carry on playing with Julian the tennis coach at 4.30pm (Dr Kate McCann’s statement) or not (David James Smith article)? 8. Did Dr Kate McCann go jogging between 4.30pm and 5.30pm (her statement) or not (Dr Gerald McCann doesn’t mention this in his first two statements)? 9. Was Dr Gerald McCann really on the tennis courts nearly all the time between 3.30pm and 7.00pm? 10. Did your clients decide that the children were not going to the recreation area and therefore bathed the children together between 5.30pm and 6.00pm (Dr Kate Mccann’s statement) or did they not decide this (as evidenced by Dr Gerald McCann asking Dr David Payne at around 6.30pm to ask if his wife and children were coming down to the recreation area)? (a) to see if she was all right? coping with the children and to see if she needed help? 12. Were the children taken by your clients for tea on 3 May 2007 (some statements) or were they already having tea when your clients visited the creche (other statements? 13. Were your clients both sat on Madeleine’s bed reading stories to the children (Dr Gerald McCann’s version) or not (Dr Kate McCann does not mention this)? (Note: David James Smith in his Times article gives a third version, namely that Dr Kate Mcann was sitting on the couch with the three children whilst Dr Gerald McCann was elsewhere drinking beer). 14. Did Dr Matthew Oldfield tell Dr Gerald McCann that he’d checked your clients’ apartment and heard nothing (Dr Oldfield’s account) or not (Dr Gerald McCann’s version)? 16. Did the Paynes meet Dr Matthew Oldfield en route between the 'Tapas' bar and the Paynes' apartment around 9.00pm? If so, why do some statements say this never happened (e.g. Dianne Webster who was adamant this meeting never took place) while others who say this meeting did happen disagree about where it is supposed to have taken place?